The final version of the Paris Climate Change Agreement is now available in all six official UN languages! To view the agreement in English, Arabic, Chinese, French, Russian and Spanish, click here. For more information about the United Nations Framework Convention on Climate Change and the Paris Agreement, please click here. 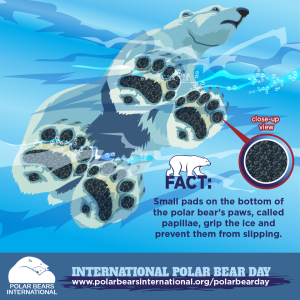 International Polar Bear Day is February 27th! Every year, this global event from Polar Bears International draws attention to the challenges polar bears face in a warming Arctic and how we each can help. 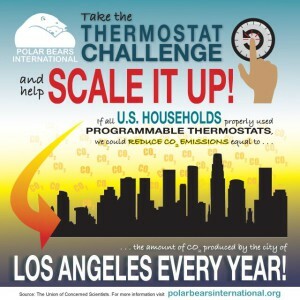 Turn down the heat a degree or two and enjoy winter coziness, or hygge, for polar bears! Climate change is felt more acutely in the Polar regions than anywhere else on the planet. Sea ice is melting rapidly and polar animals that depend on the ice are getting into trouble as a result. Take the polar bear for example. The ice that the bears need to hunt on is shrinking, and although polar bears are marvellous swimmers; even they have trouble covering the increasing open water distances between land and the ice sheets without drowning. Scientists predict that if nothing is done to change this, polar bears will become extinct within 50 years. Luckily we can help polar bears by making small changes to our behaviour. For example: Turning off the lights when you leave a room, lowering the thermostat by one degree and pulling the plug after using an electronic device all help to save energy! Using less energy produced by carbon-based fuels reduces our carbon emissions and can slow and even stop global warming, in turn saving our sea ice. Without sea ice, polar bears will decline in range and numbers, making them vulnerable to extinction in the future. 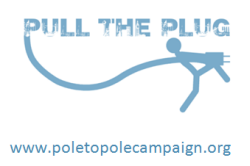 You’re invited to celebrate with Polar Bears International by signing their petition asking for a fair price on carbon. 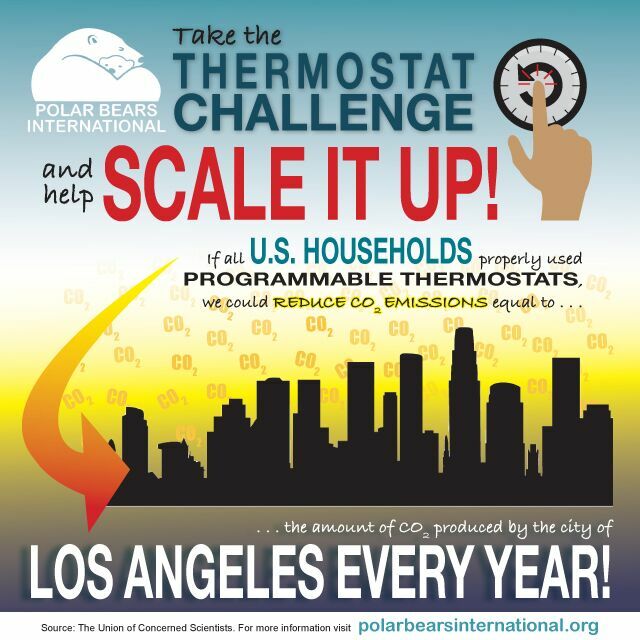 Next, take their Thermostat Challenge to save energy for polar bears (and then make it a habit!). 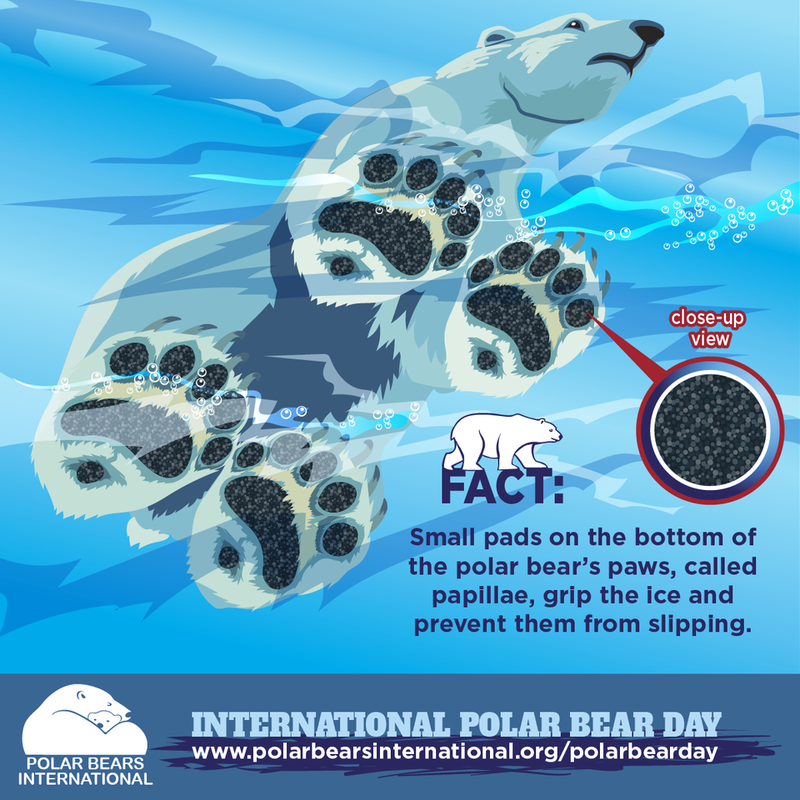 For more information, please look at www.polarbearsinternational.org. Unplug your mobile phone charger at the wall once the phone is fully charged. Switch of the tv when you finish watching it (never leave it on standby). Switch of lights in rooms nobody is using. Turn the laptop off when not using it (never leave it on standby). Turn the heating down by one degree and put on a jumper instead.